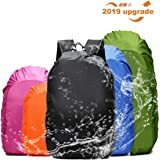 Dream Lin Waterproof Backpack Rain Cover with Reflective Strap, Upgraded 10-90L Anti-Slip Adjustable Cross Strap& Strengthened Layer for Hiking, Camping, Hunting, Rain Cycling, etc. 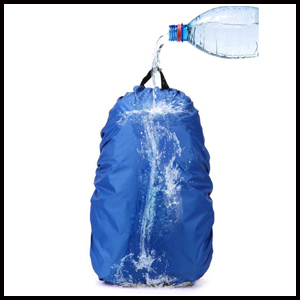 Keep your backpack dry even after experienced pouring water. 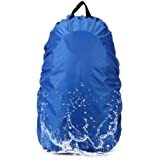 Water sliding from the rain cover quickly leaves you a dry backpack. 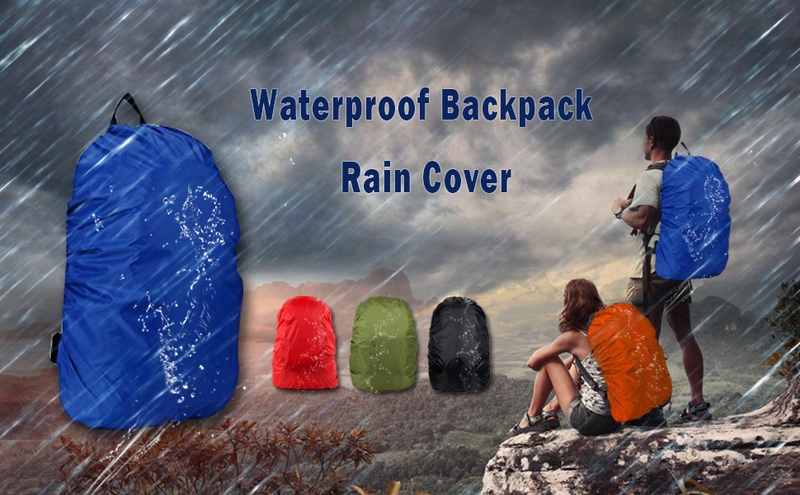 Can even hold water on the the rain cover, highly waterproof. 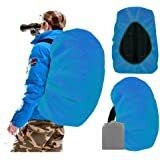 Protect your backpack from rain, dust, mud, snow and so on. 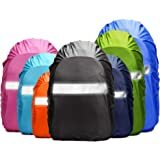 High reinforced elastic design ensures the rain cover stay still on your backpack to protect it under harsh environment such as windy and rainy days. 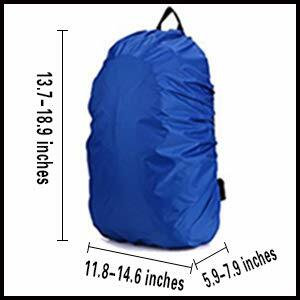 Elastic design allows you to buy one rain cover and save all your sizes of backpacks. 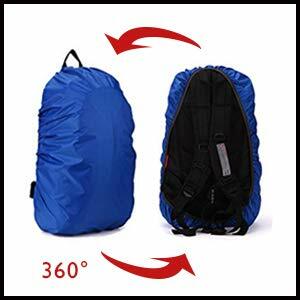 Nearly 360 degree protection for your backpack. 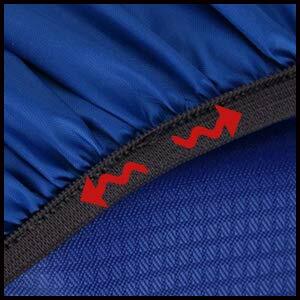 The exposed part of your backpack after you put on the backpack will be all covered by our rain cover. 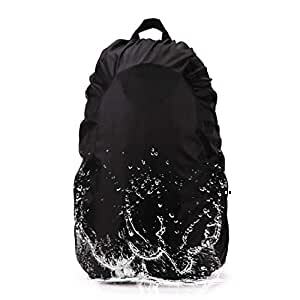 No more embarrassing moment when you only got a small umbrella, backpack will be protected from umbrella dropping water. 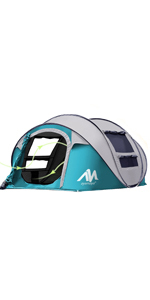 Happily enjoy your travel, hiking, climbing and anywhere else with possibly water around. 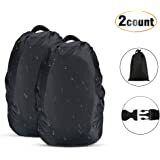 To get a perfect protection for your backpacks, Please check sizes before buying. Length,Width and Height is just show as left. 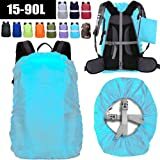 This is for a backpack up to 40 litres. 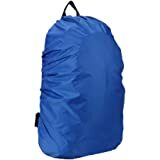 I purchased this rain cover for my backpack during the heavy rains and flooding in the Midwest this summer, and I was glad that I did. It did the job in keeping my back pack and all of its contents inside nice and dry in the pouring rain. 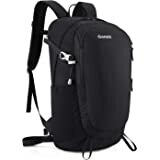 It folds up nicely and can be put into a pocket in the backpack when I don't need to use it, and it held up very well. No more damp textbooks and computer! This was a very smart purchase. On a recent trip to rainy Ireland, I put this over my Osprey 40ml backpack and was very glad to have it. It kept my bag and its contents dry day after day. And without an obnoxious, glaring logo, I didn't feel like a silly tourist. Works great! 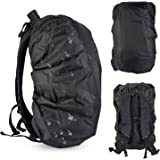 Worked well for those rainy days​, was a bit big for my backpack but it was my mistake for now measuring my backpack well. 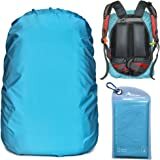 Worked great with my Northface Terra 50L and held up for months of backpacking. 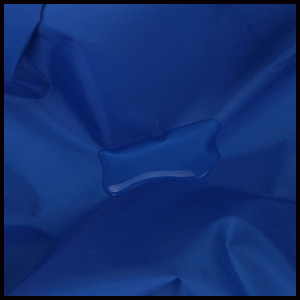 Both as a dust cover and as a raincover. Note: I was on a trek in New Zealand, hiking for hours as it poured. Even though I had the cover on my backpack (mostly the bottom) got soaking wet. 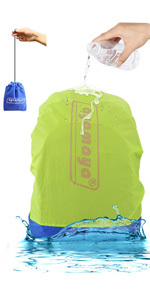 Apparently water will drip off your back and get into the bag from the part not covered by the rain cover. 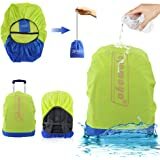 If you are expecting it to pour the trick is to buy a inner waterproof bag to put all your stuff in or to buy one of those big ponchos that cover both you AND your bag. But this rain cover worked for what it was for. 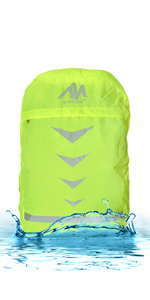 The water splash is not part of the design - the bag itself is solid colored. 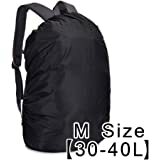 Perfect fit for my 50l pack. Works great. 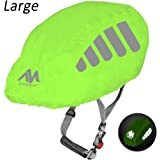 So glad I didn't spring for the $30 Kelty one. 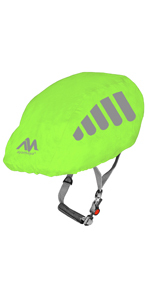 Save yourself some money- get this one! 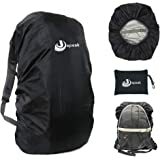 It fits around my backpack easily, and when I'm not using it its light enough to carry in my backpack. 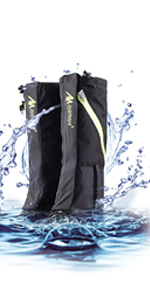 It is completely waterproof, and does what it needs to do. However, I did get the black color, and it kinda looks like a trash bag. 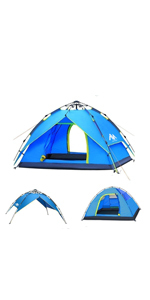 It is durable material, just aesthetically, a little annoying.